It has all the makings of a thrilling, steamy love drama featuring some of the country's best-loved celebrities. The main character being none other than our "Queen B", TV and radio personality Bonang Matheba. 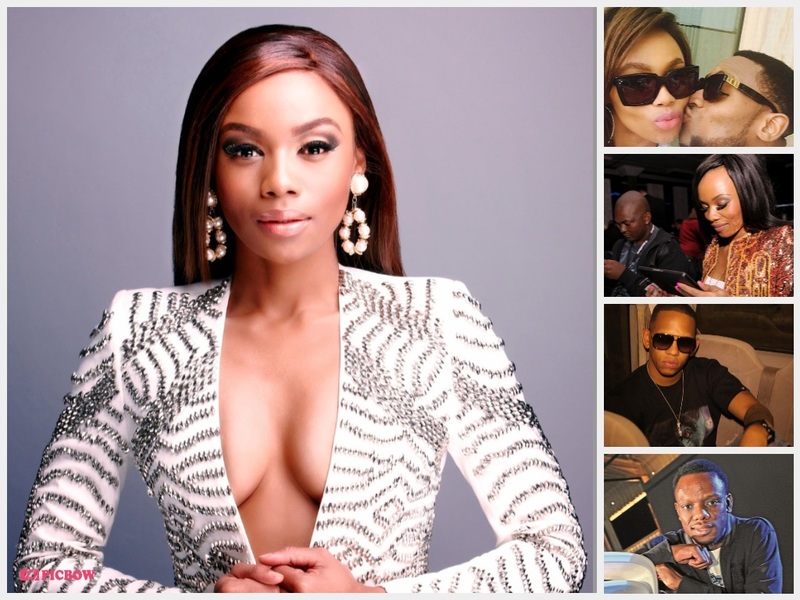 WHile there is no denying her beauty and amazing talent on the small screen, over the years the Top Billing star has hopped from one man to the other. In the process, she has been accused of being the ultimate celebrity side chick. At one point, Bonang reportedly posted a picture of herself on Instagram inside a Johannesburg tycoon's private jet. Moments later, after recognising the jet, the tycoon's irate wife is said to have called Bonang and ordered her to "Back off" from her husband. Such sorry tales about the beauty's love shenanigans have been well-documented, taking her from being the "It girl" of Mzansi to being dubbed a "relationship wrecker" and "man-eater". 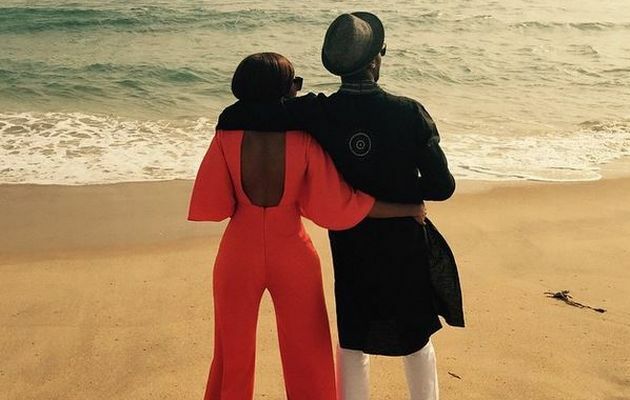 The couple's romance began soon after Bonang launched her TV career with Live (now Live Amp) in 2007, and they certainly looked cute together. Slikour was part of the hugely successful Skwatta Kamp, and the envy of his peers in the rap industry for snatching the beautiful Queen B. What made their love story more genuine was the fact that they both came from the town of Mahikeng in the North West province. They also support each other's careers and Bonang was often spotted at his shows. But then, without warning, the couple went their separate ways in 2008. 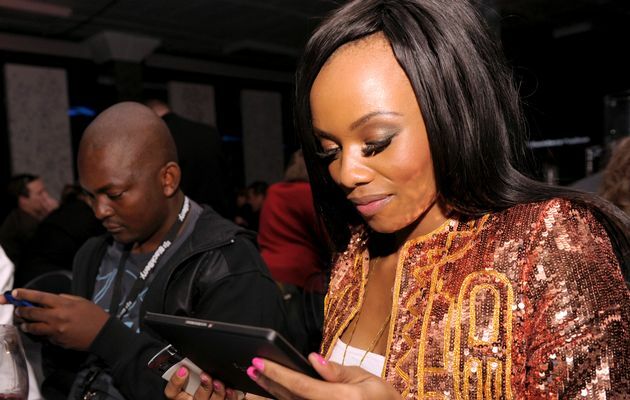 Now many believe the break-up led to Bonang's future love troubles. Slikour hooked up with the gorgeous Jill Mulligan after breaking up with Bonang. The couple, who have a daughter together, later went their separate ways too. The former Clash of the Choirs host then landed up in the arms of DJ Euphonik in 2009, and for some time it seemed as if she had finally found her match. The lovebirds were inseparable and there were even rumours of marriage. Euphonik, who has also been linked to singer Chomee and former Miss Teen SA Celeste Kumalo, was once taken to court for assaulting Bonang. He is now engaged to his baby mama, Kholeka Qiniso Nxumalo. 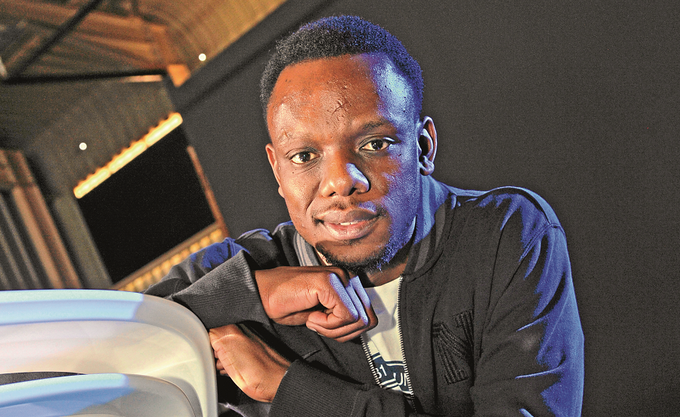 The Kaizer Chiefs and Bafana Bafana goalie has also been linked to the husky-voiced Metro FM DJ, and at one stage he and Euphonik almost came to blows about it. This came after Khune, while attending an event in Sandton where the former couple were also guests, allegedly inappropriately touched Bonang's thighs. Euphonik reportedly saw red and told the goalie where to get off. 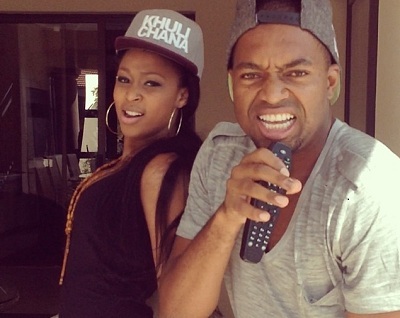 This incident fuelled rumours that Khune and Bonang had been secretly hooking up behind the backs of Euphonik and Khune's then-girlfriend Minnie Dlamini 'the virgin'. Khune is currently romantically involved with Sbahle Mpisane, daughter of Durban tycoons S'bu and Shauwn Mpisane. Bonang and the Amakhosi midfielder were rumoured to be dating at the time she was presenting Kaizer Chiefs FC TV. Reports then suggested that Shabba made no secret of his crush on the big-eyed beauty. They reportedly went on various dates but it would seem either nothing came out of it or their so-called romance was short-lived. Shabba later hooked up with former Miss SA Bokang Montjane and they now have a baby together. It must have been one of Mzansi's best kept secrets but the former Jozi member is thought to have had a thing with Queen B. Our source revealed that Bonang and the American-born rapper were at one stage more than friends, but they kept their romance under wraps. 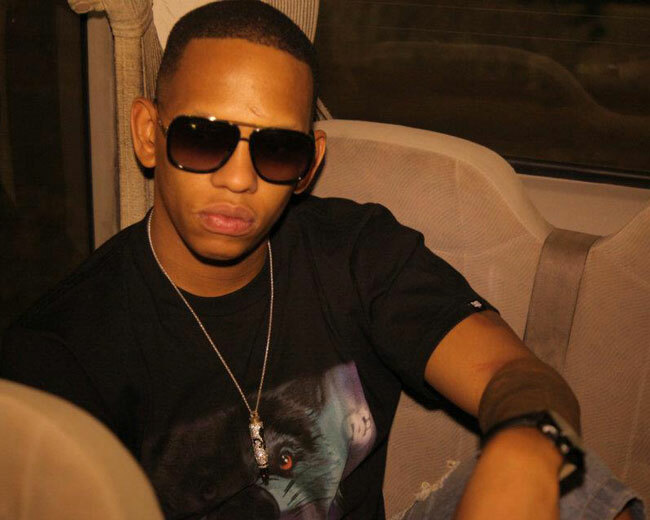 DA L.E.S allegedly a player in his own right, has also been romantically linked to Pearl Thusi and Boity Thulo. Coincidentally, the rapper is best buddies with AKA, and has a baby with Aurea Alexander. It all started with that kiss at the MTV Africa Music Awards in July. Nigerian superstar D'Banj was announced as the winner of the Evolution Award at the show and he went up to collect it, Bonang and him shared a kiss. From enjoying overseas holidays together to spoiling each other rotten with expensive gifts, the two were supposedly madly in love. But then, D'Banj publicly declared his love for his ex-girlfriend, Adama Indimi, on her birthday in AUgust. He posted a picture of her on his Instagram account with the caption "the queen of my heart". Meanwhile, it seems Bonang was not single after all. Until recently, AKA was feasting on his baby mama's sexual goodies, DJ ZInhle whom he eventually impregnated late last year. They had even bought a house together, lobola negotiations were reportedly imminent and their daughter had just been born. Then AKA hooked up with Bonang Matheba. DJ Zinhle kept mum on the rumours but on Thursday 10 September she CONFIRMED the news on her blog. In part it read: "A week before our daughter was born, I found out about an affair between Kiernan (the father of my child) and Bonang Matheba. I also received confirmed of the rumours through an honest conversation which I had with Kernan, who confirmed that the affair had been going on for over 5 months....."
Bonang's team later denied Zinhle's claims and called for a retraction. But instead DJ Zinhle took to Twitter to compile a cheeky playlist of apologetic music. 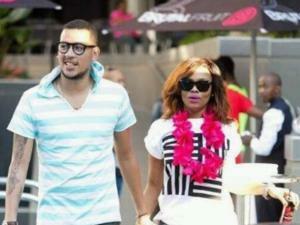 Recently street words alleged that AKA, who after being 'evicted' out of their house by DJ Zinhle, allegedly went to stay with Bonang Matheba for almost a week before Bonang reportedly also chucked him out when their relationship supposedly went sour. These are some of Bonang Matheba's boyfriends that we only managed to trace!